This piece on romantic things to do in Tokyo is a guest post by MG of The Wandering Suitcase blog. The truth is, you won’t get romantic moments standing on a packed train during peak hour. But you will have many wonderful experiences exploring Tokyo’s many parks, shrines, and temples. Exploring Tokyo can be tiring, and you may often feel like there are no quiet moments here. The perfect place to get away? Visit a park! My favorite park to visit in Tokyo is the Shinjuku Gyoen National Garden. Only a short walk from Shinjuku station, this park feels like a quiet paradise in the middle of Tokyo. Other beautiful parks that are worth visiting in Tokyo include Yoyogi Park (next to Meiji Shrine in Tokyo), The Imperial Palace East Garden and Ueno Park. These are only a small number of the many parks you can take a romantic stroll through in Tokyo! An added bonus: if you’re visiting Japan during cherry blossom season in spring, make sure you bring a picnic with you to sit and enjoy the beautiful blossoms! Like New York City, Tokyo has an impressive skyline. And just like New York City, this skyline is spectacular (and romantic!) during sunset. There are plenty of places you can check out this view. For couples traveling on a budget, make sure you visit the observatory at the Tokyo Metropolitan Government Building. This is one of the cheapest places you can see the beautiful skyline in Tokyo. Are you a budget traveling couple? 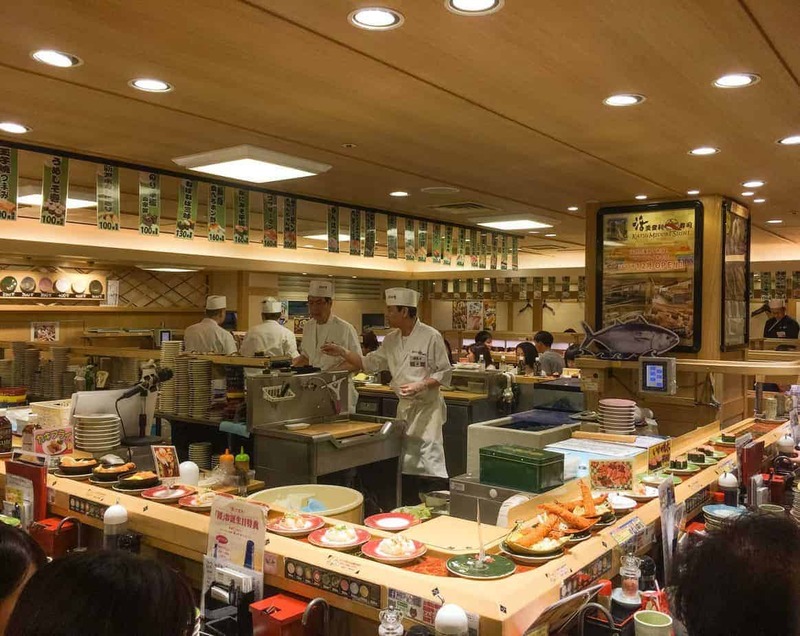 Make sure to check out my guide to 10 ways you can save money in Tokyo, Japan! If you want to splurge, I would highly recommend a visit to Tokyo Skytree to watch the view, or even better… Order a drink at the bar on the 40th floor of the Cerulean Tower in Shibuya. I don’t know about you, but I love food. If you love food too, there’s nothing more romantic than snuggling up with your significant other in a tightly packed Sushi Train restaurant, eating delicious sushi and sashimi. If the idea of raw seafood makes you squirm, make sure you try one of Tokyo’s many tiny-hole-in-the-wall ramen restaurants. You can find these littered around the side streets of Tokyo, or in the neighborhoods of Shibuya and Shinjuku. Dining on sushi is a Japanese essential. Check out this list of 34 more great things to do in Tokyo. While getting lost in a foreign city is not everyone’s cup of tea, in Tokyo it can be fun to explore the back streets and check out small hidden restaurants. While this is not an experience specific to Tokyo, it felt remiss to share romantic activities without mentioning staying at a Ryokan. If you are visiting Tokyo and aren’t planning to visit elsewhere in Japan, I would highly recommend staying in a Ryokan while you’re here. What’s a Ryokan, you ask? Well, my friends, it’s a type of traditional Japanese Guesthouse. Your room will have tatami mat flooring, and instead of sleeping on a bed, you’ll sleep on a futon on the floor. At first glance, this sounds uncomfortable (where’s the romance you ask!) But most people who stay at Ryokans find futons to be incredibly comfortable to sleep on, and the experience to be very couples orientated. Most ryokans will also have an onsen (either an attached private bath or a public bath area) where you can bathe. You are also given yukata to wear, which is a cotton robe you wear after bathing. While it sounds all very different and confusing, staying in a Ryokan is an incredible way to experience the more traditional side of Japan. Ryokans are harder to find in major cities, but if you’re not planning on traveling outside of Tokyo, this is a definite must when visiting, and a great way to add romance to your trip! A trip to Asakusa is a must for everyone visiting Japan, regardless of whether you’re here as a couple or not! What’s so special about Asakusa, you ask? This area is home to the Sensoji temple, a beautiful Buddhist temple. Sensoji is considered one of Tokyo’s most colorful and beautiful temples. 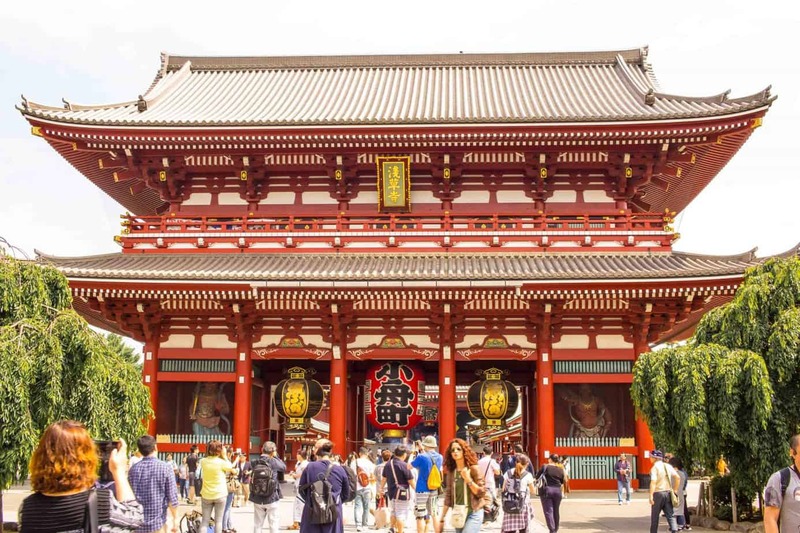 When visiting here, you first enter through the outer gate of Sensoji temple which is a sight to see! While you’re here, also make sure to check out the row of stalls lining the shopping street just after you enter from the Sensoji Temple Outer gate. Kamakura is a coastal city, only 1 – 1.5 hr away from Tokyo, but this area is the perfect getaway for couples visiting Tokyo. Here you’ll find beautiful temples, shrines, and beaches which get busy during the summer months! 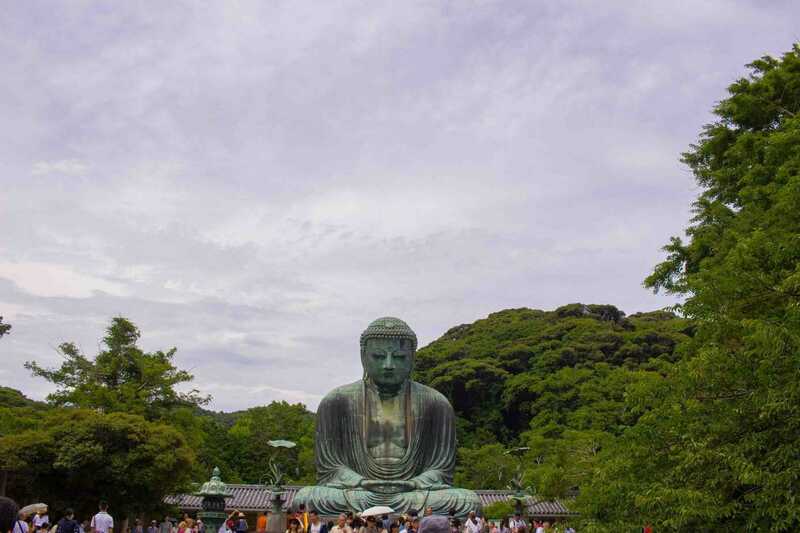 Kamakura is also home to The Great Buddha of Kamakura, which is the second tallest Buddha statue in Japan. The mixture of temples, shrines, and beaches make Kamakura a romantic getaway for couples. Pro tip: Want a one-of- a-kind souvenir from your time in Japan? Make sure you read about Goshuin, one of the most unique souvenirs you can get from Japan. Goshuin is a type of Japanese stamp you can only get from Shrines and Temples in Japan, and what better place to start collecting these beautiful stamps than Kamakura! While Tokyo doesn’t seem like a city that would be romantic, the truth is there are so many experiences and activities that are perfect for traveling couples. From Ryokans to beautiful parks and gardens, there are so many romantic things to do in Tokyo! 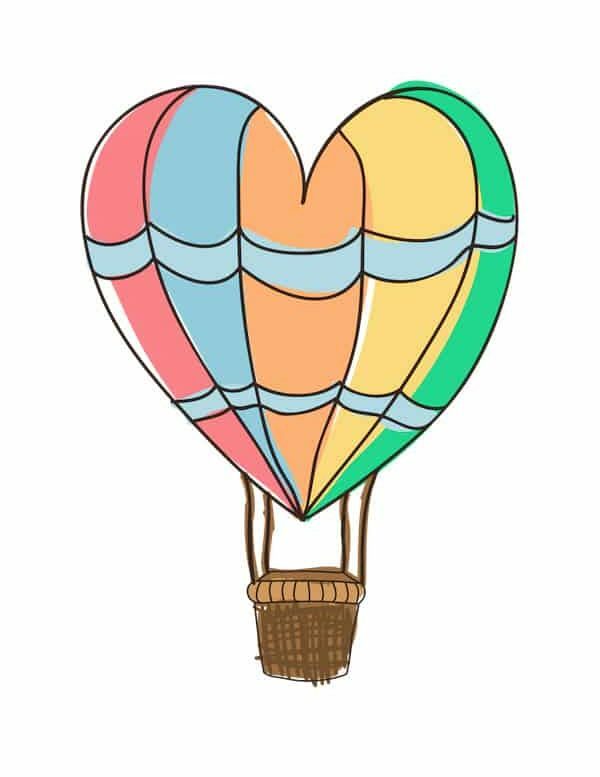 Author Bio: Mae-Gene is an Aussie blogger based in Boston, USA. She has an on-going love affair with Japan (shhh don’t tell her husband!) and is obsessed with sushi, washi tape and eating as much ramen as possible. She writes about her experiences traveling in Japan and loves helping others travel the world on a budget on her blog, The Wandering Suitcase.